Hello, Guys! Here we are going to share the latest version of HPO Android Tool v2 by PMS download. 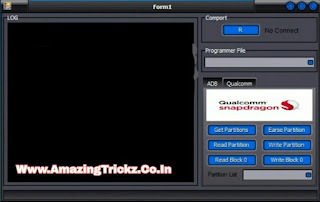 HPO android tool v2 by PMS is a small popular application lets you optionally download and install additional drivers necessary to connect the smartphone to a computer. This application an advanced program for qualcomm mobile device management. Using this software, we can easily retrieve and create backup copies of the necessary application stored to connected smartphone devices. This HPO Android Tool v2 by PMS can flash recovery and allows everyone to install other operating system based on android.